We are at Ryozen-ji, Temple #1 on the Shikoku 88 Temple Pilgrimage Route (also called O-Shikoku). The pilgrimage route encircles the island of Shikoku and is about 1,400 kilometers in length. 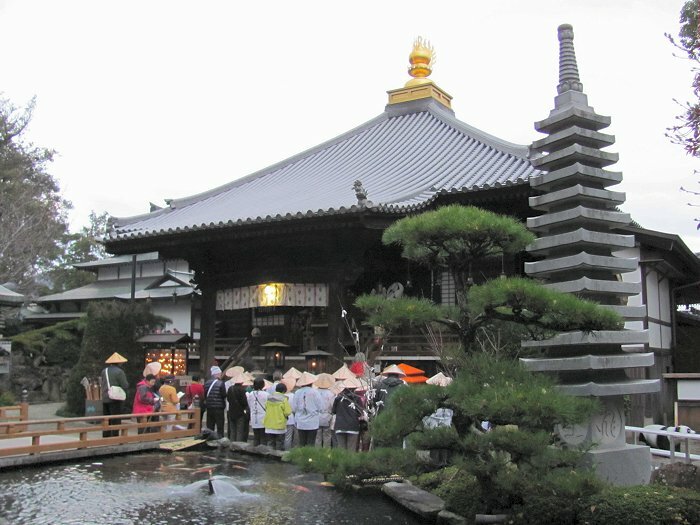 There are 88 "official" temples along the route where Kukai (or Kobo Daishi)--the founder of the Shingon sect of Buddhism--is said to have trained or spent time during the ninth century. 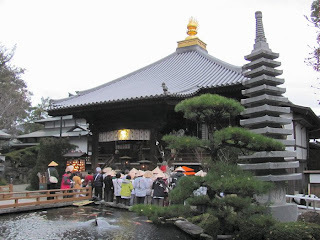 The origins of the Shikoku pilgrimage date to the 12th century although the pilgrimage consisting of the 88 temples didn't emerge until at least the late 16th century.